Today I got a SMS from my local bike store. They finally deassembled the Maillard rear hub. Good news indeed. 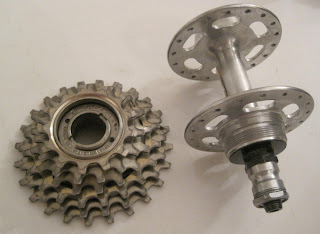 As I wrote previously, I was so stupid to remove the hub from the wheel before removing the cassette from the hub. Which is a minor glitch if it happens with todays technology, is a major pain with the technology of yesteryears. It's almost as bad as trying to eat a marmalade sandwich while playing soccer on playstation 2. Believe me, everything can happen in that situation. 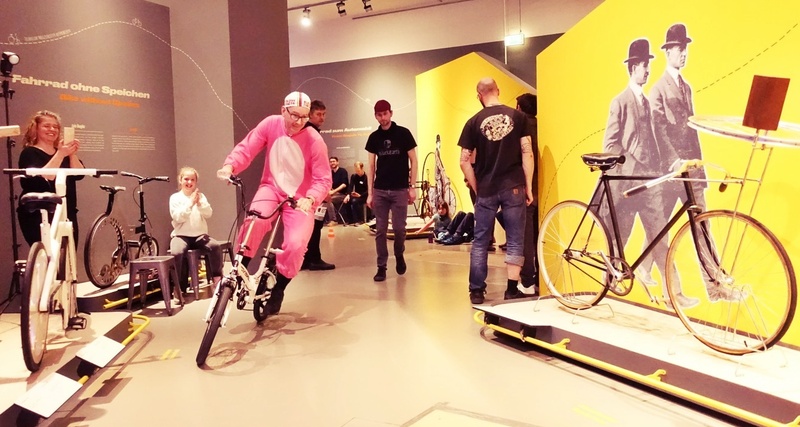 On the weekend I went to a DIY shop bought a large plank and some steel screws and nuts to construct something to counter the cog but it didn't worked out when we tried at the bike shop. Luckily the good people there were so moved by my engineering efforts that they agreed to give it another try later: When I am away and I couldn't take a peek at their trade secrets. The guy told me today that he built up the bike again to counter the removal tool which was connected to the wheel. 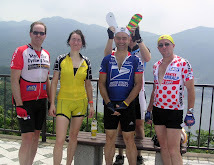 Then finally he was able to unscrew the cassette. 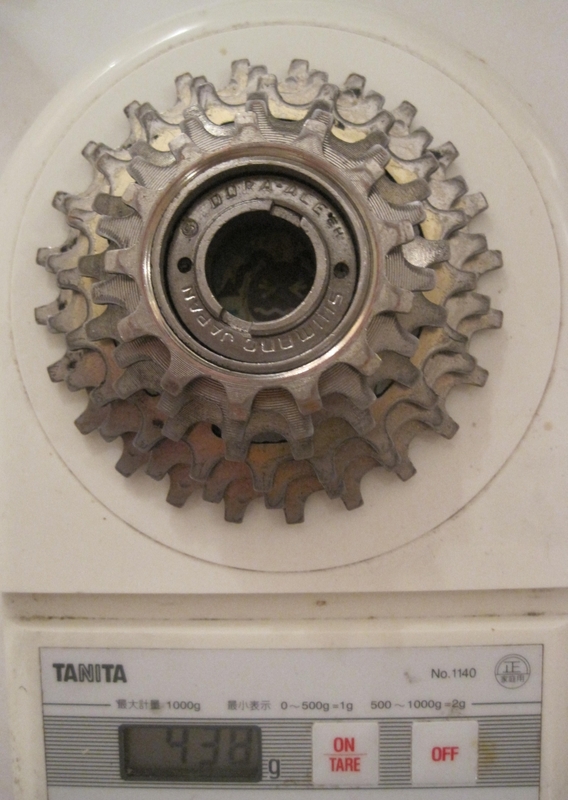 Which is actually not only a cassette, but a cassette with an integrated freewheel. 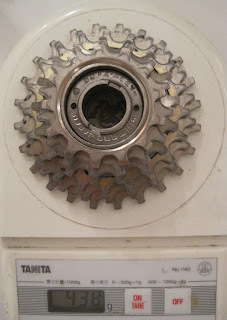 Probably a Dura Ace FA-110, if you are interested in the details. Coming home I started to clean and polish the hub and de-assembled it completely. I was surprised how small the ball bearings were, I thought the balls would be small on the front and bigger on the rear wheel because of the forces that needs to be transmitted. No. These balls are very small. And luckily I know that there were 9 balls on each side, which limited my efforts to look for the ones which have rolled down from the table right on the Flokati carpet. This was similar to the search for Dr. Livingstone but me, Stanley, I made it finally. I had an even worse Flokati carpet when I was a teenager and I am sure that if it had been stored at my parents home, one would perhaps be able to retrieve today many of my belongings and drugs lost before I came between 18. Also I thought that the hub would be heavy, but in fact it is the freewheel that accounts for most of the weight. Wow, almost as heavy as a Cervelo project California frame.